"I am excited to announce [NAME] will be joining the program as a Program Manager focusing on customer engagement and execution." 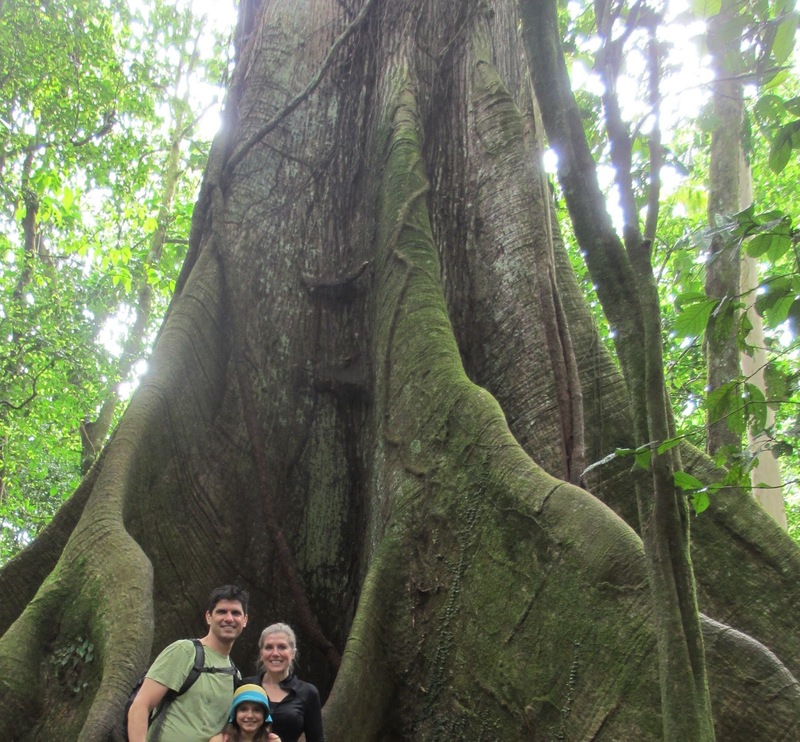 The Brutalism family is back from a spring break trip to Costa Rica. And as I like to do with all of our international trips (to Indonesia/Hong Kong, Iceland/Netherlands/Belgium, and Italy), I've captured what made traveling to this lovely Central American country so memorable. 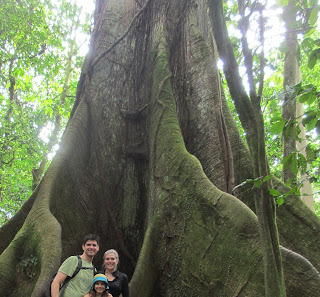 1) From the DC area, you can get to Costa Rica via Panama. And if we learned anything during our 20-minute layover between flights, it is that the most insanely gorgeous people live in Panama. Forget the hats and the canal -- if the Panama tourism board wants to promote reasons to visit this country, it should focus on the fact that every person who works in the airport looks like a supermodel. Yes, I'm painting with a broad brush here...but it's a broad, beautiful brush, so I feel that's okay. photo we have in Panama. 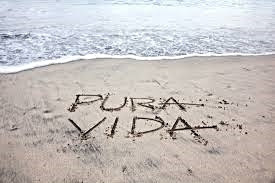 2) With the lush landscapes and laid back lifestyle, it is easy to quickly develop a taste for the pura vida that is Costa Rica. It is also easy to mistakenly text your friend that you have developed a taste for the "puta" vida, to which she will (non-mistakenly) respond, "Well, you were a sorority girl." 3) Driving in Costa Rica can be an adventure - many roads are not paved, none of them have shoulders, and our GPS continually mocked us by announcing a speed bump, dangerous bridge or escuela zone every kilometer or so. I was gringo-knuckling it the entire time. What our GPS did not feel was important to include in the dangerous bridge category was the CROCODILE BRIDGE, which we found by literally stumbling across it. Costa Rican GPSs have an odd sense of what is dangerous. 4) When none of you has ever ridden a horse and you speak only a little Spanish, it might not be the best idea to go horseback riding with a Spanish-speaking guide. Particularly while heading up a steep, gravelly path when, without warning, he whistles to prompt the horses to break into a gallop. The guide laughed appreciatively with at me. 5) Even when you're not naturally an adrenaline junkie, you become suddenly willing to zip line 450 feet above the ground through a cloud forest, "Tarzan swing" off a 150-foot-high platform, and walk across suspended treetop bridges that are held together with zip ties and luck. tremendously when you fall 450 feet. So not a cream puff. 6) You become used to roommates such as the one below during your trip, something with which you would normally not be okay. It helps to be so physically exhausted from a day o' activity that you would rather sleep with a lizard on your face than stay awake another minute. The Costa Rican Face Lizard. 7) When you wake up one morning and share a bizarre, convoluted dream you had overnight, your husband will patiently listen to the ridiculous details. Even when it involved him sitting in a refrigerated grocery case next to another guy who threatened to expose himself until you spilled hot coffee from the carafe you were holding onto his lap. Then when you ask him, "what the hell do you think that dream means?" 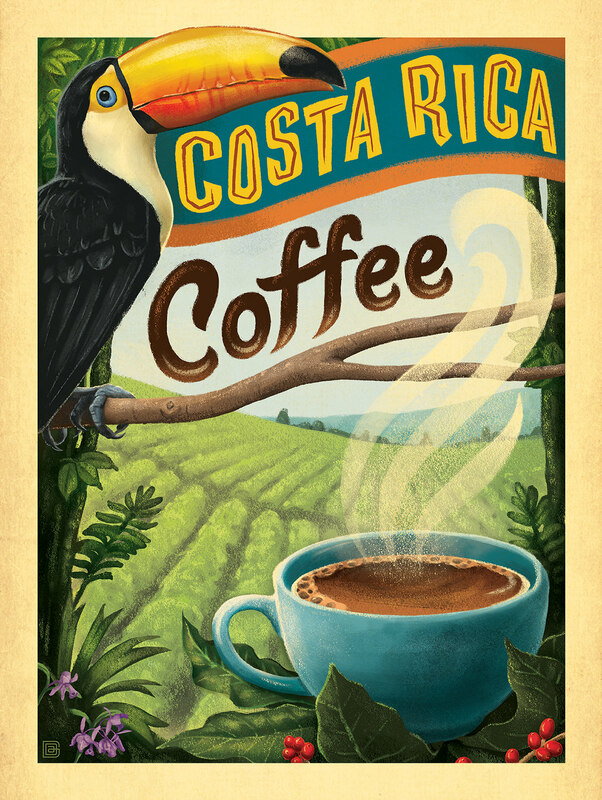 - he will pause a moment and inquire, with a straight face, "well...was it Costa Rican coffee?" He should be a psychiatrist. 8) When you stay at a resort that has a huge array of natural hot spring pools and soaking tubs heated by the nearby volcano, you are slightly hesitant to use them because you have read about brain-eating amoebas that tend to congregate there. 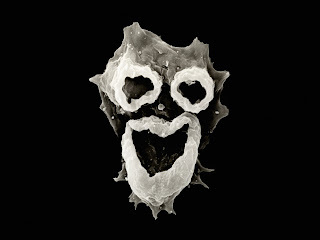 as "terrifying clown amoeba that will forever haunt your dreams." But she wanted to, so we let her. thanks to Quakers settling there and farming. 10) You can tell how hospitable a country is based on its toilet tissue. 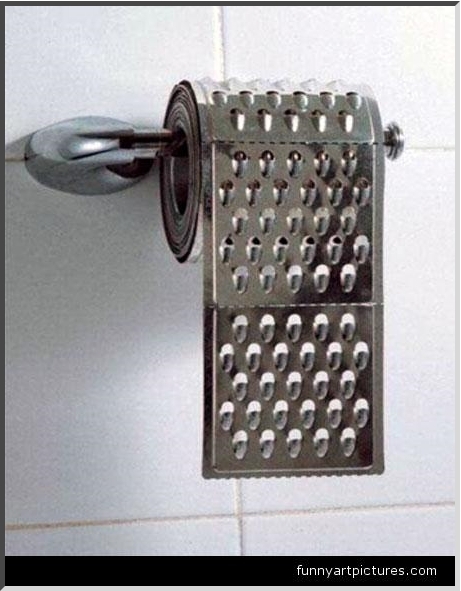 During my semester abroad in college, the UK scored a big, fat "F" with its non-absorbent, waxed paper-like TP, which I can only assume was payback for that whole "independence from them" thing. 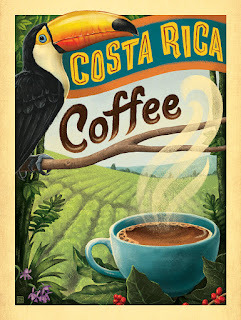 Conversely, Costa Rica, with its fragrant, pillowy-soft version, receives an appreciative "A+." During the night, I heard some mumbling coming from my daughter's room. She has always been a sleep-talker and if I've learned anything as a parent these past ten years, it's that I can usually count on her REM sleep ramblings for comedy gold. So I repeated it back to her and said, "oh my god, you're hilarious." And, while still asleep, she replied, "Well, thank you, m'lady"